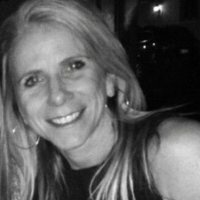 Jo Pickett is a morning person. At first light, she pulls her blondish, now grayish, hair into a ponytail, steps onto her yoga mat — sometimes still in her pajamas — and warms up her 62-year-old muscles. Then, she picks out a board: One’s in the bedroom, two hang from the living room ceiling, and the rest are in the shed or already loaded on PVC racks in the back of her white Sprinter van. Fifteen minutes later, depending on beach traffic, she steps onto the sand at her favorite surf spot, a series of breaks near Crystal Pier. This famous stretch of beach was once home to the Lumina Pavilion and giant wooden hotels, like the Sea Shore, where, photos show, guests surfed in the early 1900s. With the unspoiled morning sand underfoot, Jo pauses to read the breakers rolling in. 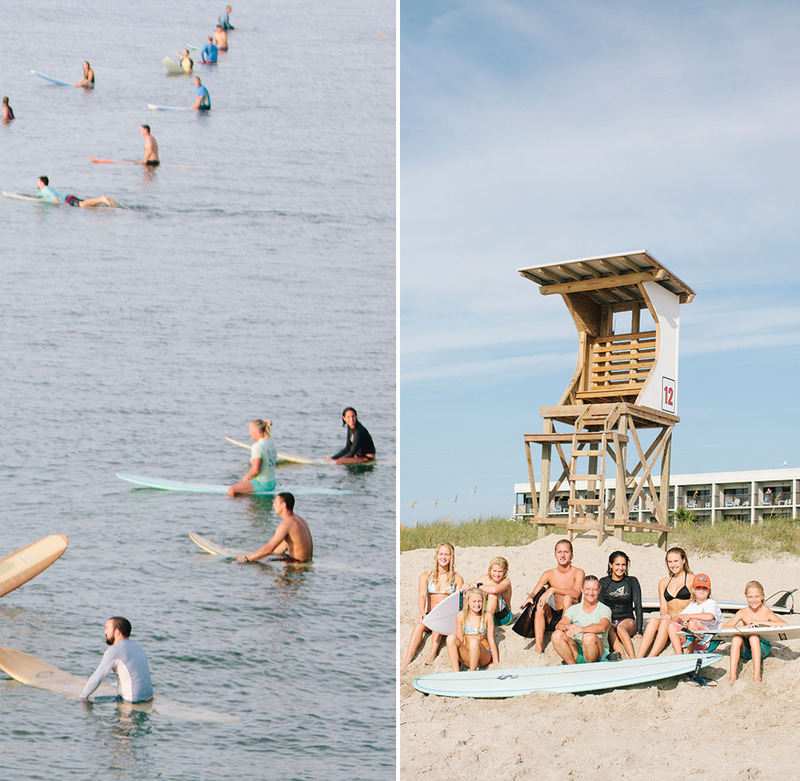 “People tend to flock to the water as the day moves on,” she says. “The early birds are the ones that get to enjoy it.” On this particular morning, the waves are firing. The swell she’s been tracking has arrived, and the ocean is kicking up bewitching surf. Before most people have downed their first cup of coffee, Jo has ridden a dozen waves and is refueling at Café del Mar with a Green Machine smoothie. She returns phone calls while she sips, barefoot, hair salty, wet surfboard propped nearby. Then, she paddles out for more. Jo is a legend in these waters. 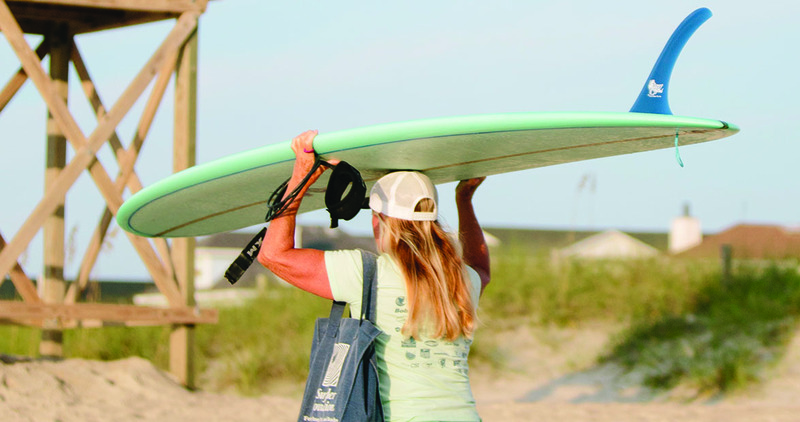 The former U.S. national short board champion, U.S. senior women’s champion, Eastern Surfing Association champion, and popular North Carolina surfing coach now shares waves with the very surfers she has mentored over the past 22 years. Women surfers in particular credit her with inspiring generations of girls to take up the sport. She’s taken young surfers on adventures to ride waves in Costa Rica, Puerto Rico, Nicaragua, and El Salvador. Even her own kids — Leilani, Airlie, and Doug — have grown into keen competitors. “I told them by the time they turned 16 they ought to be able to beat me,” she laughs. People who love surfing find ways not to age out of the sport. At some point, it gets real — hips catch, knees nag — but that only deepens their appreciation of what the sport gives them in return. “If you ask us now what surfing means to us, we’re going to give you a different answer than if you asked us years ago,” Jo says. After catching her first wave in 1972, when she was 16, she graduated to owning her first board, a Hawaii 5-foot, 11-inch single-fin: “narrow, pointy, and hard to stand on,” she says, reminiscing on her shady porch in Wilmington. Two ancient cats — Moo and Tabs — circle her bare feet. Ever since those Gidget days, surfing has punctuated the turning points in her life. She met her former husband, Ed Pickett, in the ocean. “He took a wave away from me,” she says with a laugh. And she surfed through all three of her pregnancies — at least until her wet suit didn’t fit. The Pickett kids — who’ve all taught at their mother’s local surf camps — knew how to ride waves before most of their classmates could ride bikes. “It was just necessary with our lifestyle,” Jo says. She and Ed took turns holding babies and catching waves, letting their kids build confidence playing in the shore break: “upside down and backward, water in every orifice,” Jo chuckles. Firstborn Leilani was not yet 3 years old when, one terrifying morning, she slipped away from Ed and swam through 5-foot waves, determined to find out what all the surfing fuss was about. “Here comes Leilani with her water wings on, swimming through the lineup, out through the waves,” Jo says. Leilani swam out to her mother and climbed up on her board. “Very proud of herself. That was a clear indication of what was to come,” Jo says of her daughter, now 28 and an East Coast surfing champion in her own right. All season, a steady stream of students flies down from the U.S. for winter surf lessons — including, this year, two sisters in their 60s who hoped to progress beyond beginner waves. At last year’s Wahine Classic, that beauty proved too much for Jo to bear from the shoreline. Spur of the moment, she jumped on her board and paddled out to surf in a heat against Leilani. The beach crowd hooted and hollered as mother and daughter split waves. “We’re competing,” Leilani says, “but, at the same time, there’s an understanding. She’s not going to cut me off.” Jo is, after all, Mom. Neither Pickett won. But neither cared. The moment was victory enough.